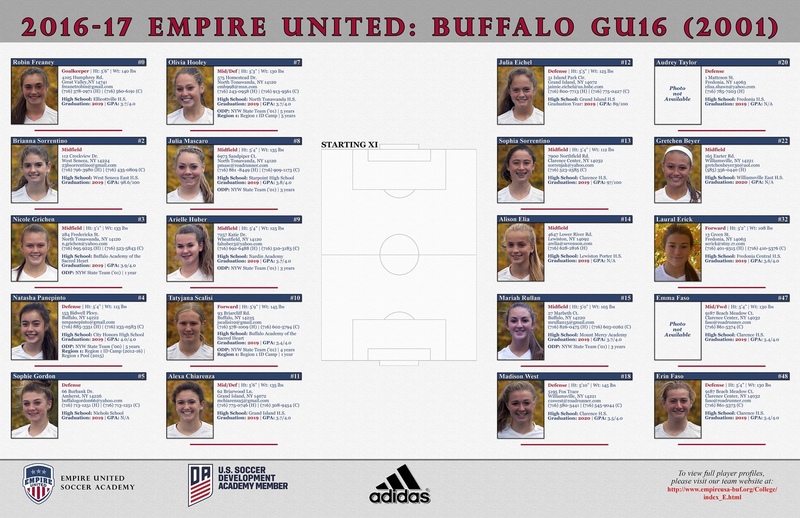 Empire leads all soccer programs in the WNY with college placement and now we're even better! 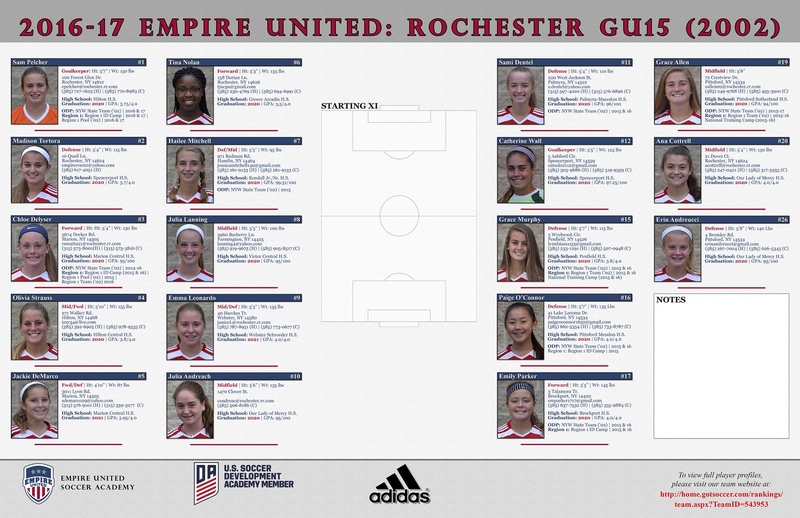 Empire United Soccer Academy has long been the leader in placing players into college programs. It boasts the largest network of college coaches available today and has historically leveraged that network on behalf of its players. 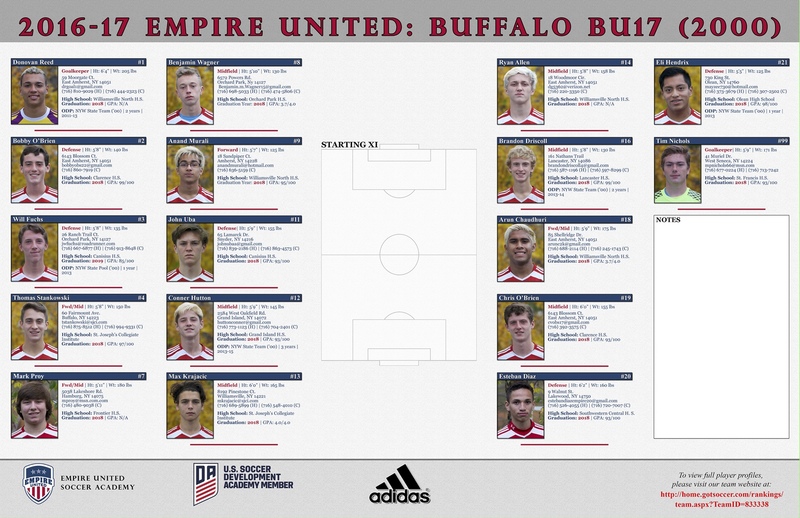 Seniors in the program this year are heading to schools like Notre Dame, Navy, Syracuse, Cornell, New Hampshire, Rider, just to name a few. Never before have we seen this type of respect from the soccer community at large. 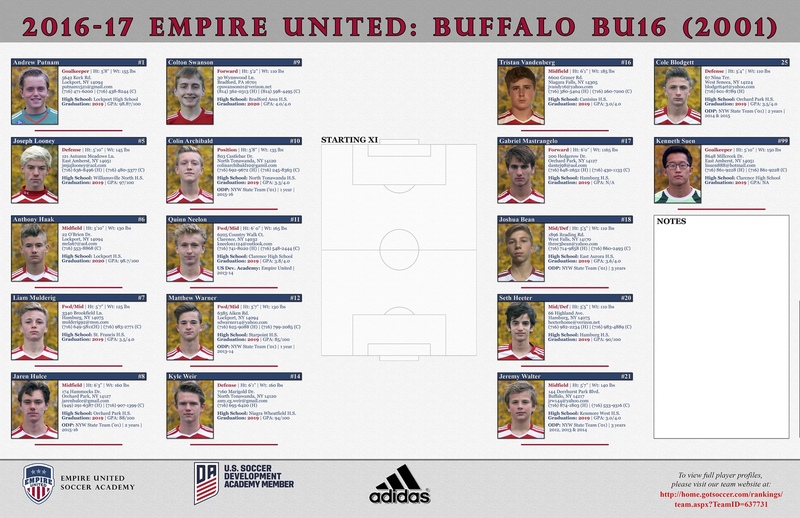 This was one of the goals the founders of the club had dreamed of, development and exposure of WNY soccer players at a regional and national level. 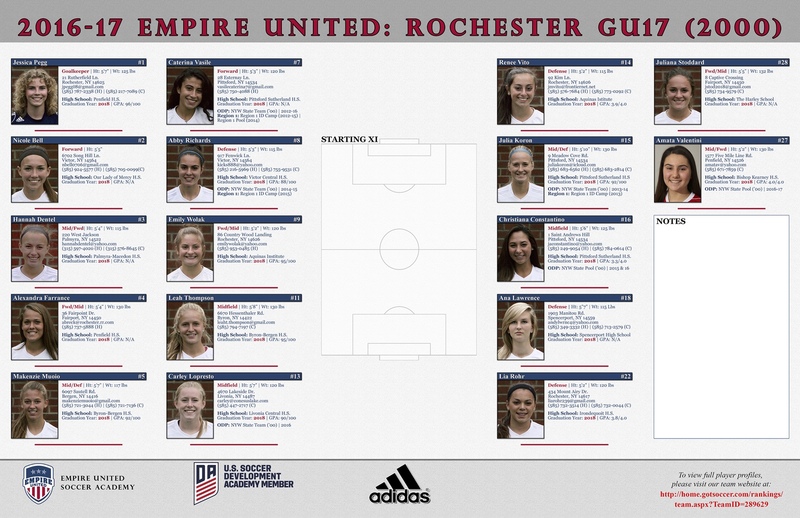 Empire United has taken two more steps in helping our players and their families with the college recruiting process. The first is the creation of a new position within the club, Director of College Recruitment. This position has been filled by our very own Rob Jackman. Rob has recently signed on with Niagara University's women's program as a full time assistant. 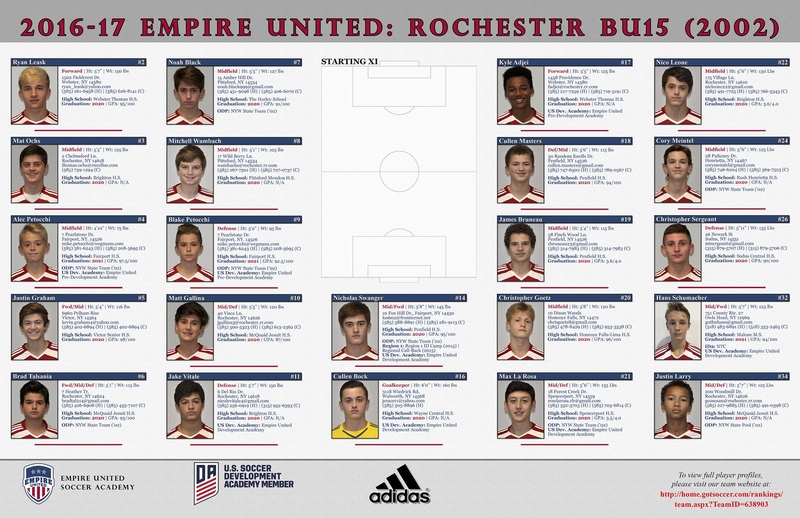 His time with the club, the ODP program, and now his current position make him the ideal placement. 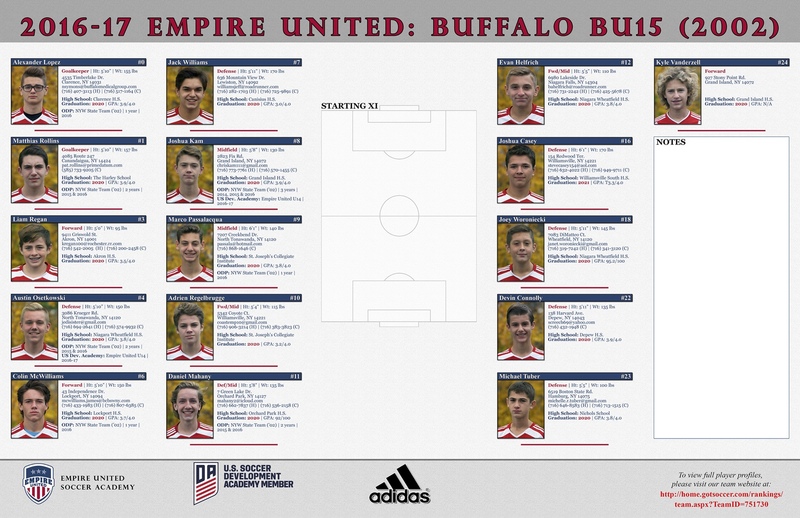 The role will involve the buildup of a robust program for helping players find, communicate, evaluate, etc. the right schools. 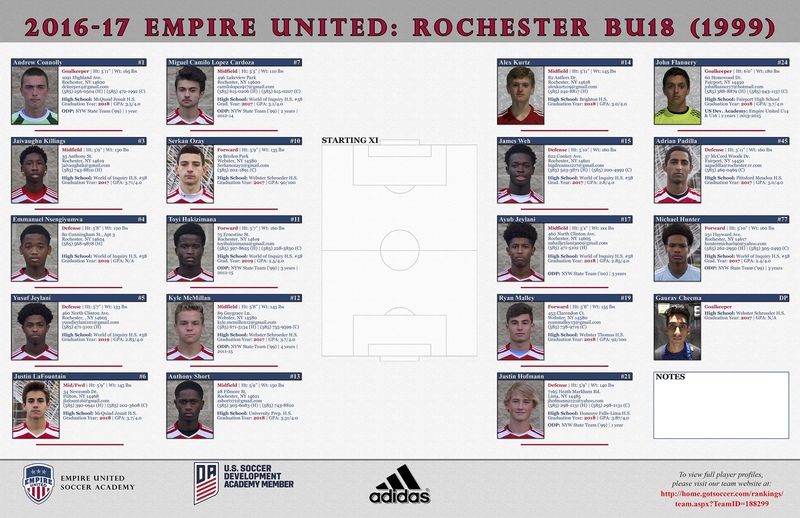 Rob, in conjunction with the player's respective coach and the Empire coaching network at large, will provide the very best opportunity for players to find a home. 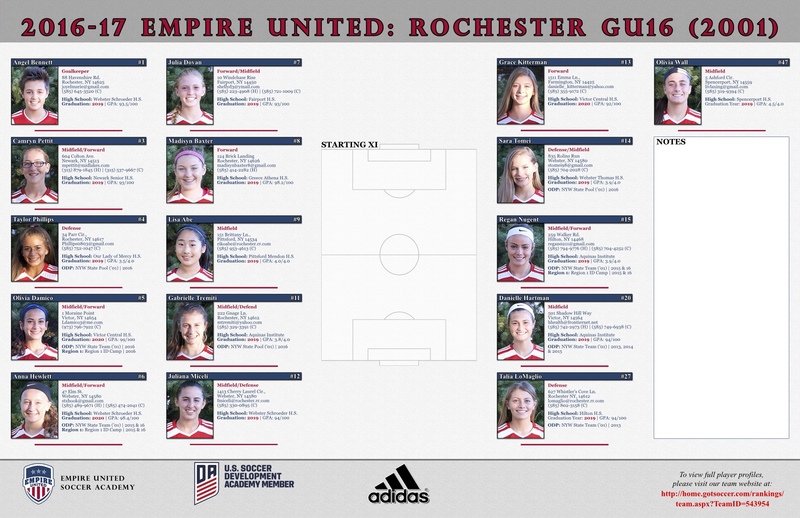 The club is very proud of the young men and women moving on to their college programs and will continue connecting student athletes with the college program that is perfect for them. 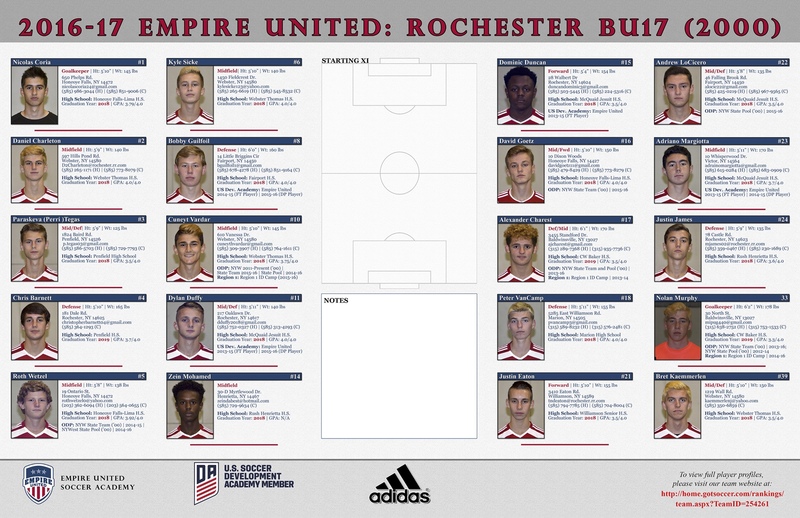 Empire United Soccer Academy provides a forum for players share their Soccer Profile with College Coaches. 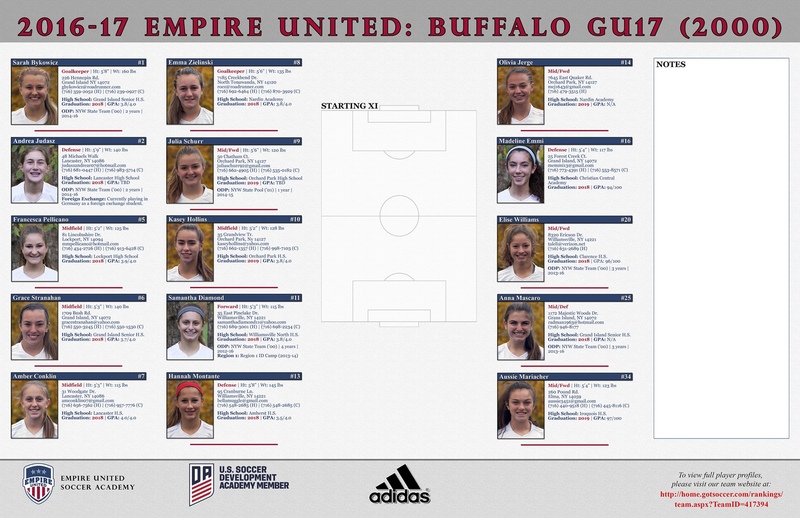 Select an Empire United team below to view their Team Profile Booklet. For any additional information, please contact the corresponding Head Coach. 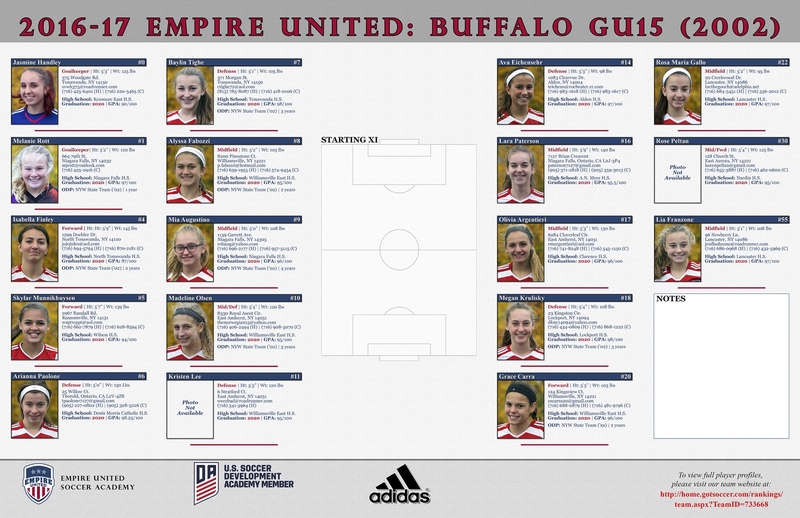 For any Buffalo teams not listed below, please contact Tom Garigen. 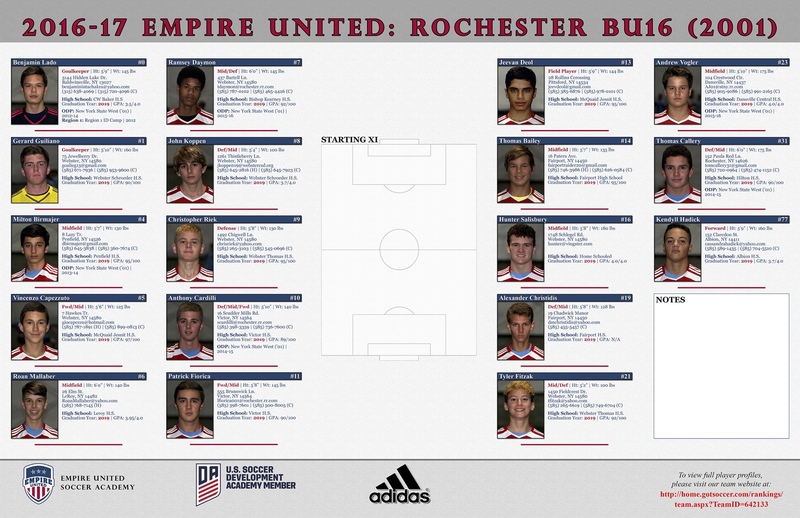 For any Rochester teams not listed below, please contact Chris Apple or Jeff Oliver.